Reminiscent of old-style British post boxes, Little Free Libraries have rapidly grown in popularity since their inception in 2009. 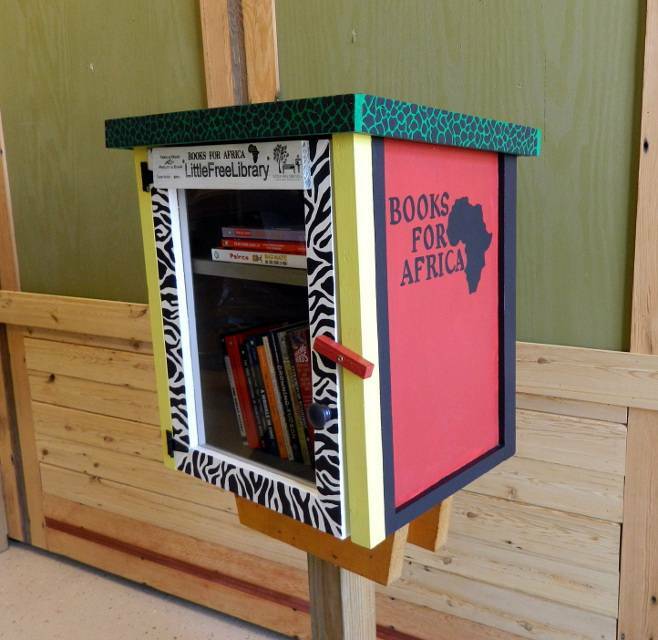 The movement began in Hudson, Wisconsin, where Todd Bol installed a Little Free Library shaped like a schoolhouse on his front lawn. The idea caught on, a nonprofit was founded, and there are now LFLs in all fifty states of the U.S. and forty countries around the world—an estimated six thousand total. While the vast majority are stateside, they are starting to pop up in places where books are sorely needed like Ghana, The Congo, and Pakistan. The concept is not novel. 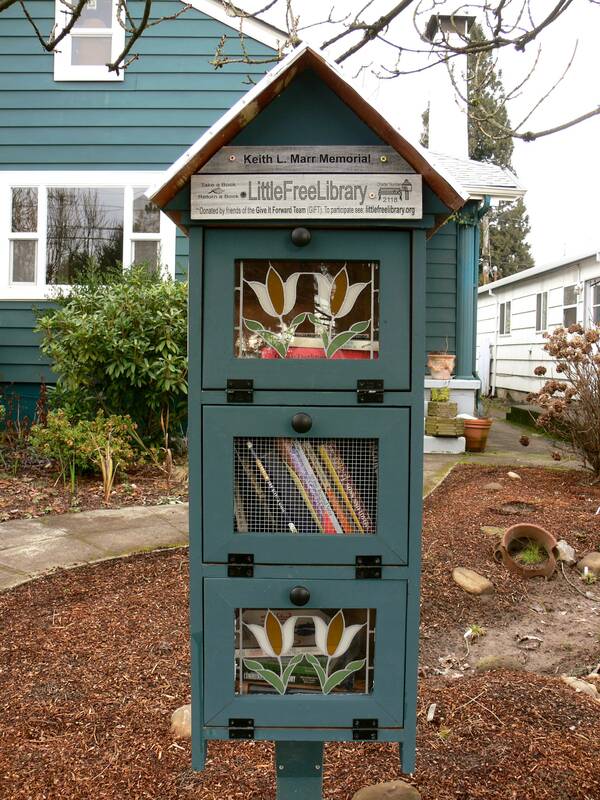 Before the Little Free Library organization was founded, I encountered a number of community book exchanges established with the same principles in mind. LFLs improve on this original idea in two ways. First, they are outdoors and easily visible, making them more widely accessible, and second—The Cuteness Factor. 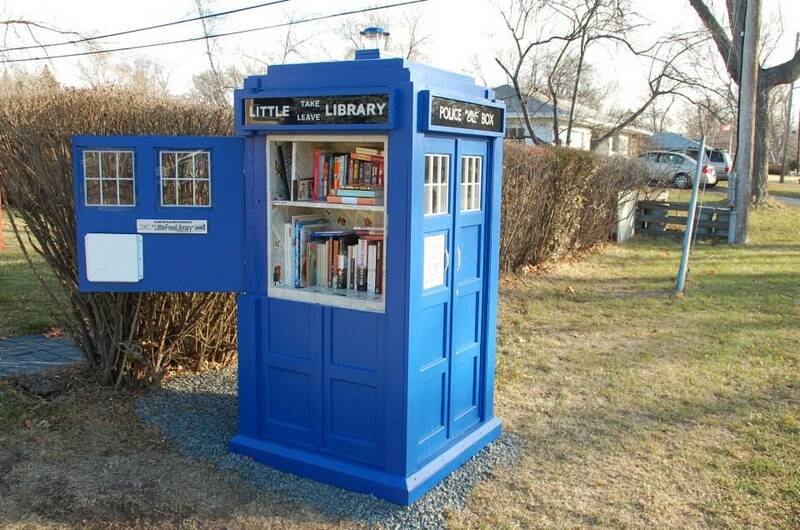 There are Little Free Libraries built like dollhouses, birdhouses, barns, phone booths, and yes, TARDISes too. Some may ask why Americans need community book exchanges when we are already blessed with an abundance of free public libraries. Perhaps we don’t need them, but book exchanges and LFLs don’t just give people access to free books. They foster an intimate sense of community different from that of a public library because the people have direct control over book selection, which reflects the interests of the neighborhood as a whole. The differences between the book exchanges I have encountered are fascinating and illustrate my point. One locker room book exchange at a fancy country club golf course offered a wide selection of current bestsellers in mint condition. Another locker room exchange at a fitness club yielded row upon row of bodice rippers. That’s what’s so great about Little Free Libraries—they allow communities to express themselves and grow together while promoting literacy and self-education. Also, they really are adorable.